Maryam Kizilbash is a poet, singer and songwriter from Pakistan. After graduating from I.B.A in Karachi, Maryam released her first poetry collection titled "Floods of Deserted Dreams". Her first music album titled "Pukar" is expected to be released in March 2009. Renowned writer Mushtaque Yousufi dubbed Maryam the youngest and most mature Pakistani poet when she released her poetry collection in 2006. Her book was also nominated for the National Literary Award. Maryam is passionate about many social issues faced by society today. She has written poems and songs about poverty, people, politics, religion and internal conflict. 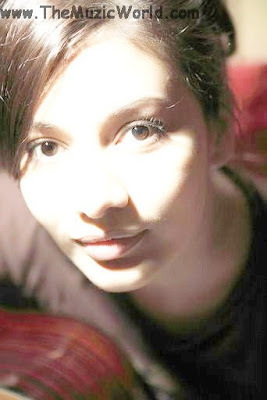 Maryam was signed on by the record label FireRecords in 2008, and her music album will be released in Pakistan in March 2009. And for now, she is out with her first single ZARA PALAT KAY from her debut album SUKOON. To download the song ZARA PALAT KAY by MARYAM KIZLBASH, 'RIGHT CLICK' and 'SAVE TARGET AS' on the given link below. To listen the tarck, click on the blue PLAY button. For more information about MARYAM KIZILBASH, you can visit these links.